BEVERLY HILLS, Calif., Jan. 16, 2019 (GLOBE NEWSWIRE) -- Genius Brands International “Genius Brands” (NASDAQ: GNUS) continues to build its global distribution business to support the upcoming launches of preschool series, Rainbow Rangers and Llama Llama, with Natalie Setton on board to spearhead the international content sales as announced today by Genius Brands’ Chairman and CEO Andy Heyward, to whom she will report. Setton will be based in London, UK. Natalie Setton joins Genius Brands International (Nasdaq:GNUS) to head global content distribution. Setton is tasked with driving international sales of the Genius Brands’ programming library, including its recently debuted new hit CGI-animated series, Rainbow Rangers, which premiered in November 2018 to top ratings in the U.S. on Nickelodeon’s Nick Jr., as well as the Netflix Original preschool series Llama Llama, starring Jennifer Garner, which is currently in production on season two. Additional content sales under Setton’s charge include Warren Buffett's Secret Millionaires Club, created with and starring iconic investor Warren Buffett; award-winning toddler brand Baby Genius; adventure comedy series Thomas Edison's Secret Lab; and other projects currently in development. Since April 2016, Setton has served as Managing Director for Ludorum in the U.K. and has been with the company overall for over a decade. 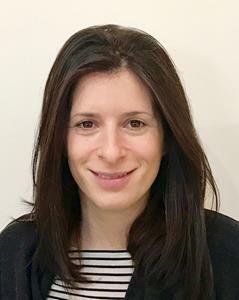 Setton has garnered outstanding achievements in each of her escalating roles with the company, including International Sales and Licensing (2008) and as its Commercial Director (2015). In these various roles, Setton was responsible for developing and implementing the company strategy for the exploitation of Chuggington, its computer-animated television series, and managed relationships with all major clients, including Disney US, BBC, TF1 France, Super RTL Germany, ABC Australia and Fuji TV in Japan. Ludorum was recently sold to Herschend Entertainment Studios, and she will continue to be involved in their business moving forward under her consultancy company, Set On Brands Ltd. Previously, Setton spent two years in children's TV distribution as a Sales Executive responsible for the Asia territory working with other global children’s animated properties, including Little Princess, Transformers, and My Little Pony. A fluent Japanese speaker, she has also worked in Japan as an account manager in the travel industry. Headquartered in Beverly Hills, Genius Brands International, Inc. (NASDAQ:GNUS) is a leading global kids media company developing, producing, marketing and licensing branded children’s entertainment properties and consumer products for media and retail distribution. The Company’s “content with a purpose” brand portfolio, which is led by award-winning creators and producers, includes preschool properties Rainbow Rangers for Nick Jr. and Llama Llama for Netflix; award-winning toddler brand, Baby Genius; adventure comedy STEM series, Thomas Edison's Secret Lab; and financial literacy and entrepreneurship series, Warren Buffett's Secret Millionaires Club. The Company’s content catalog also includes the animated series, Stan Lee's Cosmic Crusaders, created with Stan Lee's Pow! Entertainment. Seeing the need to provide kids and parents with a safe viewing environment that offers premium enriching and engaging programming, Genius Brands launched the Genius Brands Network – comprised of Kid Genius Cartoon Channel and Baby Genius TV, as well as an exclusive Kid Genius Cartoons Plus subscription channel on Amazon Prime. The Network channels are available in approximately 80 million U.S. households via a variety of distribution platforms, such as OTT, set-top box, internet, and mobile. Through licensing agreements with category leading partners, characters from the Company’s properties also appear on a wide range of consumer products for retail. For additional information, please visit www.gnusbrands.com. Source: Genius Brands International, Inc.
© 2019 Genius Brands International, Inc. All Rights Reserved.